What I love about Pilates? 1. Pilates is my reason for being excited to get going in the morning, and my reason for feeling great going to bed at night. 2. Pilates has allowed me to feel fully connected to every part of my body. Pilates has been a game changer for Erinn. After having two kids, and dealing with Rheumatoid Arthritis, her body was in need of serious strengthening. In addition to regaining core strength, Erinn has incorporated Pilates in rehabbing both an elbow and hip replacement. 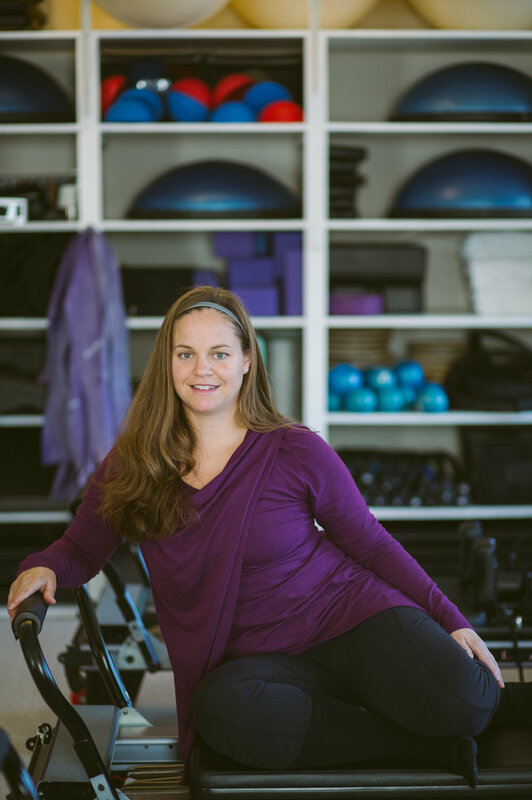 For the past 10 years, Erinn has enjoyed being part of mat classes and reformer classes and private sessions at the studio. So much so, that she became a teacher for mat classes and more recently, reformer. When Erinn isn’t at the studio, she enjoys time with family and friends, baking cookies and coaching her children’s sports teams.